Düsseldorf, May 2014 – Kuhne Anlagenbau of Sankt Augustin, Germany, and DuPont have brought together Kuhne’s TripleBubble®1 water quenched and bi-oriented film technology and DuPont’s knowledge in high performance packaging polymers to explore new ways of saving costs and materials in multilayer shrink and lidding film applications. Merging Kuhne’s TripleBubble®1 Technology with DuPont’s resources in the application-specific development of high performance packaging polymers opens up new cost- and material-saving shrink bag solutions with excellent puncture resistance, so extending shelf life and minimizing food waste caused by packaging failure during transportation. TripleBubble®1 shrink films typically consist of a PET or PA based outer layer, a structural layer based on DuPont™ Surlyn® and a PE based seal layer, and can be enhanced with an EVOH or PVDC based barrier structure. Here, the partially crosslinked thermoplastic ionomer Surlyn is key to their high shrink, softness and perforation resistance. A new joint development from Kuhne and DuPont is the combination of conventional shrink film technology using Surlyn as shrink layer with an advanced sealing technology, where Surlyn® is used also as sealant. This approach opens up new horizons in shelf life and product presentation. 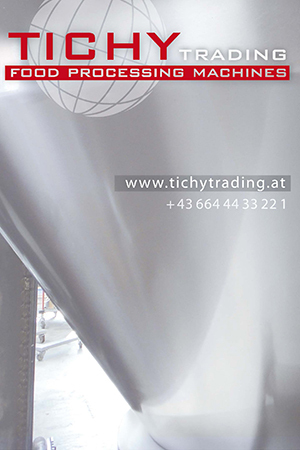 … is dedicated to the production of bi-oriented blown films for advanced food packaging applications, including meat, sausages and cheese, providing advantages such as high oxygen barrier. 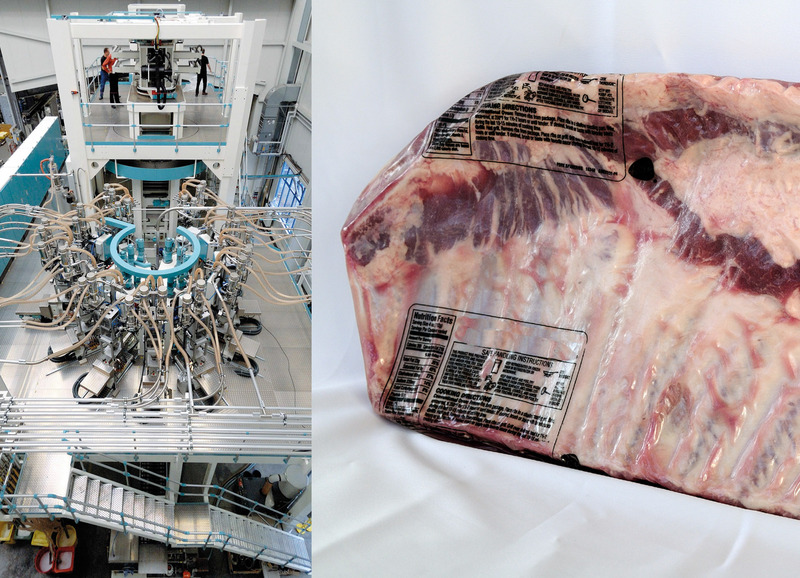 Since 1996, when Kuhne first developed this technology, the company has continuously extended its product portfolio, which today ranges from high-speed mono-systems for sausage casings with production speeds of up to 300 m/min, via medium width co-extrusion systems for multi-layer food packaging films, up to large size systems for film widths of up to 1.9 m, providing extremely high barrier and mechanical properties. A standard feature of all TripleBubble®1 Systems is quenching of the first bubble using water chilled to 4 to 6 °C. This water quench technology was developed for the TripleBubble®1 process by Kuhne in 1996 to permit significantly higher cooling rates compared to other production processes, so preventing the development of crystallinity in the film and enabling a uniform downstream orientation process. In 2008, this concept for the production of water quenched blown films was extended to produce films of up to eleven layers. Moreover, TripleBubble®1 technology has recently been further developed to include up to 13 layers and large film widths and outputs of over 1 tonne per hour and to convert all common raw materials including PE, PP, PET, PS, PA, EVOH, COC, EVA, EMA, ionomers and more. Next Post: GEA TWINSTAR®9–CUSTOMISED TRAYSEALER TECHNOLOGY!